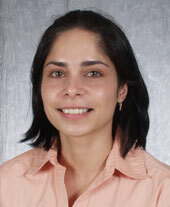 Bidisha Mandal is an Associate Professor in the School of Economic Sciences at Washington State University. Her area of specialization is health economics, with specific training and expertise in econometrics, survey research methods, and analysis of large secondary data on health outcomes and health related behaviors. Her research includes evaluation of policies that affect public health, understanding economic conditions that impact health, and how health, in turn, influences economic decision-making. She joined Washington State University in 2007, and developed the first Health Extension program in the university. Through her integrated research and extension efforts she contributes effective education and solutions to critical economic issues in the areas of public health and healthcare economics.